Last week I told you about my misadventure with the scarf that became a hat, which had also led to the sweater becoming a rug. So many lessons to learn on yarn selection, and I'm sure so many more to come. Patty Lyons, my new knitting guru, made the very accurate observation that knitters at times get so excited about starting new a project, that they forget to get to know their yarn, picking one quickly, sometimes resulting in a great project that turns out... ordinary at best. I sure have learned that lesson, maybe not for the last time, but luckily for me on a quick project. Following her suggestion, I started reading The Knitter's Book of Yarn, by Clara Parkes, and so far it is been wonderful. I feel like the more I know about knitting, the more I realize I don't know, and I'm thrilled to learn and experiment. A few friends lately have sent me articles about the benefits of knitting, such as this one and this one. It got me thinking about when I decided to start knitting, and I have to admit that I can't really pinpoint what triggered that decision. I think that I was looking for a hobby that was not exercise related; you can only do so much of climbing, pilates. running or snowboarding in a day. I'm so glad that I did though; after a few false starts, I was quickly hooked. Well, let's be honest, I'm totally obsessed and it's taking over my life. In a great way. I do agree with the articles; knitting for me is calming and relaxing. It helps me concentrate, feel focused and productive. I'm always happy when I knit, and often wish, when life gets busy, that I could just put everything on hold and knit. Sometimes I do. I've never been an evening person; I wake up in the morning full of projects and ideas, and get more accomplished before noon than Graham often does before 4 pm. But in the evening, the roles are completely reversed. I become somewhat useless and somnolent. Knitting keeps me awake and helps me enjoy the evening with him, instead of joining Noodle in a sort of half napping state. I have met great friends through knitting class, and I try hard to meet up weekly for some knitting and catching up, from which I always leave smiling and inspired. Getting back to that failed cowl; I was pretty sure that the problem was my yarn selection and not the pattern. In fact, every pattern that I've knitted from Churchmouse Yarns & Teas I've loved, and so as I was looking for a new cowl, to spice up this grey lingering winter, I simply went to them once again. Yesterday in Seattle may have felt like summer, but rainy winter is back for at least a little while longer, to my despair. On my second attempt at this cowl, I decided to play it safe and used their recommended yarn. 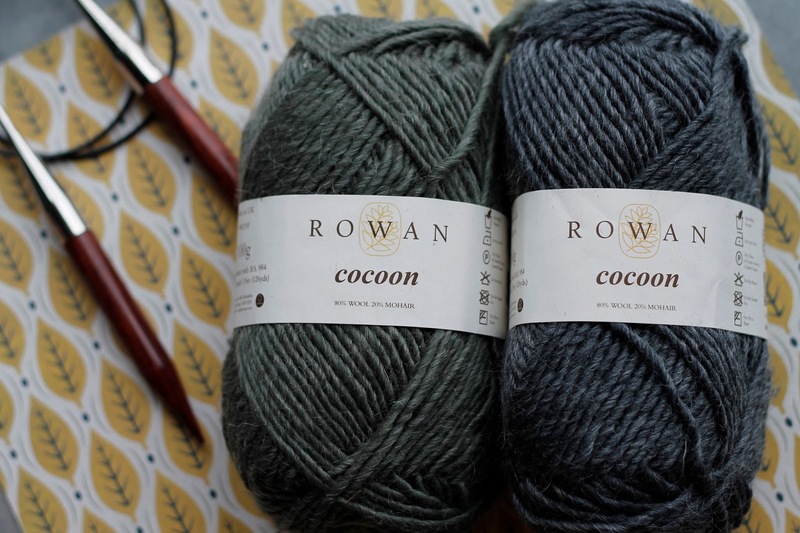 They had put together some packages with the option of using two different colours, since this cowl is knitted with two strands of yarn at the same time. I absolutely fell in love with the marled effect of this cowl. The downside of ordering this delightful package, which came through the mail in a great package, with a little hand written card and a bookmark (how lovely and thoughtful is that) was that the yarn was not wound. Actually come to think of it now, it was probably ready to go. But I got confused between ball, skein and hank, was ready to start knitting, and walking over to my favourite store was not going to happen that day. So I looked for YouTube videos, as you do, and got started. I won't tell you that I've perfected my hand winding technique, because that would be a lie. I won't tell you either that my 2 balls looked similar, because at the end of the process I had a huge loose one and a tiny tight one, go figure. 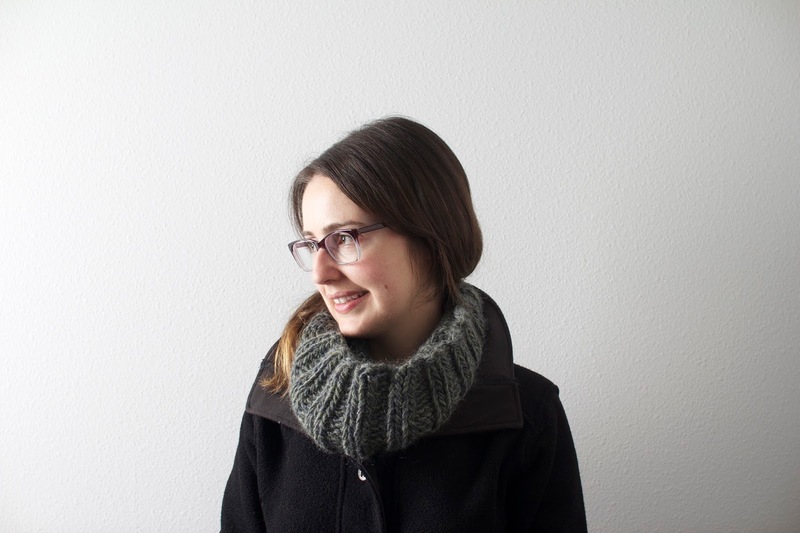 But I will tell you that nothing got tangled or knotted, and I knitted a beautiful cowl in no time, as promised by this Last-minute cowl free pattern. I chose the ribbed option, as I had another seed stitch cowl in the works, but expect to make another one next fall. It is just too quick to pass on. 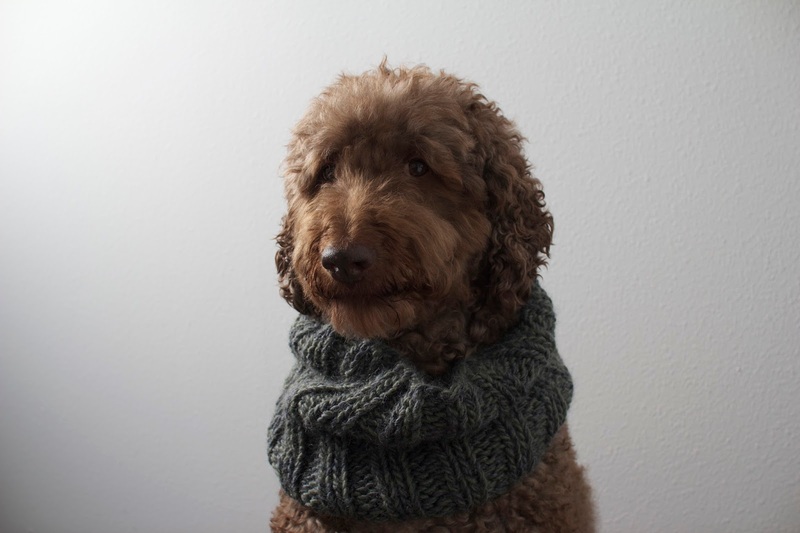 Mr. Ody Hands was kind enough to model the scarf for me, for the modest cost of a cookie. The downside: he wears it much better than I do, and every time I wear the scarf now, I wish I had his curls and deep dark eyes. I'm humbled and honored to be named as your knitting guru! Fantastic looking cowl. 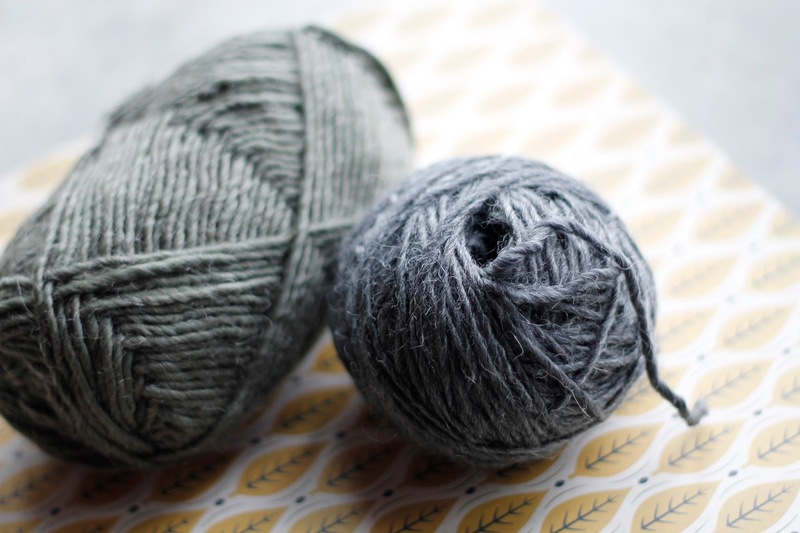 I love yarn, and I love to match just the right yarn to the right project (heck, I teach a whole online class about yarn selection: http://pattylyons.com/classes/online-classes/), so I'm loving the care you're taking in choosing your ingredients. So happy that you stopped by. 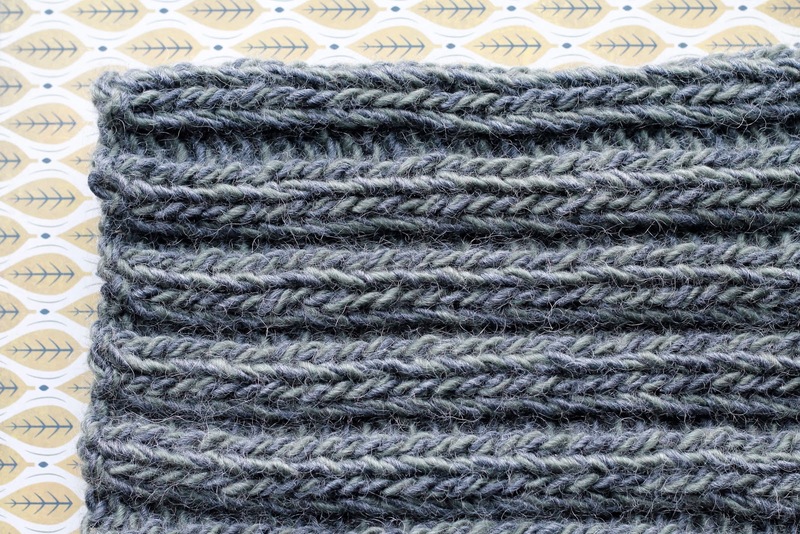 I absolutely loved your class Secrets of Gauge at Vogue Knitting in Seattle. It gave me lots of confidence to start my first sweater. Coming soon I hope! Your love for yarn and knitting is contagious.